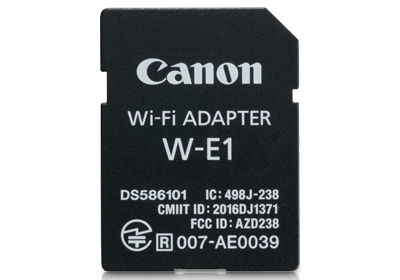 Wi-Fi Adapter W-E1, remote shooting and image sharing on the go with smart devices is now made possible. 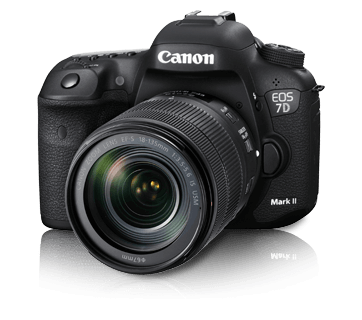 The EOS 7D Mark II comes equipped with the brand new 65-point all cross-type AF system and is equipped with a larger AF area than most APS-C sensor cameras. With 65 AF points covering virtually the entire frame, this leads to greatly increased accuracy even if the subject is in rapid motion. 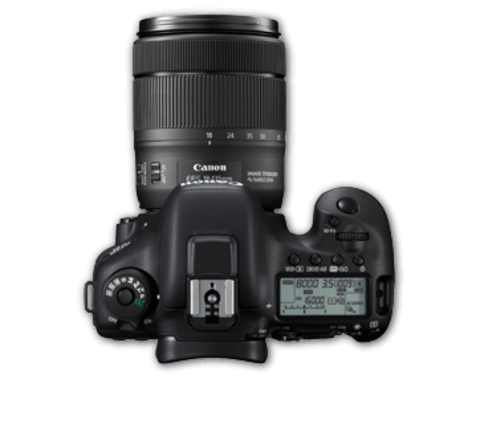 The central AF point is an f/2.8 dual cross-type point, and can focus even in extremely low light situations of down to EV -3 luminance. 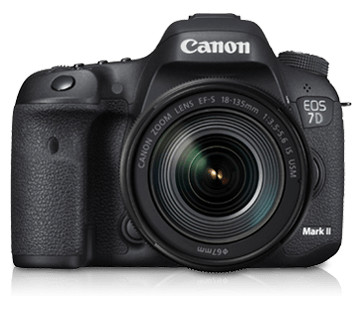 Through an all-new shutter and mirror mechanism, the EOS 7D Mark II has a fast 55 milliseconds shutter release time lag and can clock continuous shooting speeds of up to 10 fps. With a fast burst rate, users will be able to capture sporting events, wildlife or active children with precision and sharpness. 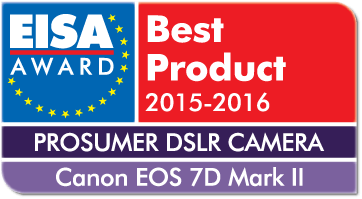 To cater to the needs of users who prefer low-shooting speeds and capturing slower moving subjects, the EOS 7D Mark II comes equipped with manually adjustable speeds – a feature previously only available in the top range EOS 1D series. 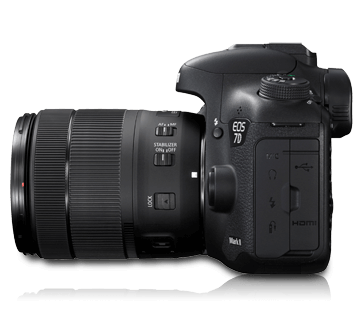 With a new mirror bounce reduction mechanism, users may opt for Silent Mode while shooting under 5 fps. The EOS 7D Mark II features enhanced video capabilities with the addition of the new Dual Pixel CMOS AF function. This enables high-speed phase-difference detection AF on the CMOS sensor plane, allowing for extremely fast AF and smooth subject tracking in Live View and movie recording mode. With this new system, subjects will be constantly kept in focus even with erratic changes in their distance from the camera. The Dual Pixel CMOS AF also enables the Movie Servo AF to deliver quiet focusing and tracking, especially when paired with an STM lens. AF speed can also be adjusted to suit more sophisticated shots, such as slower focus shifts to suit softer moments. * Figures are based on Canon&apos;s testing standards (Aspect ratio: 3 x 2, ISO 100 and Standard Picture Style) and an 8 GB CF card. 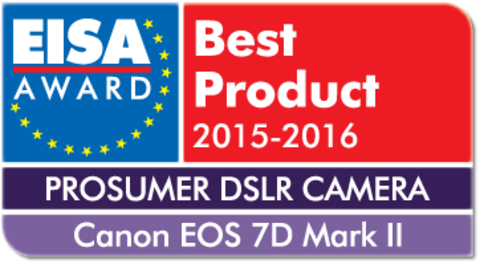 * Figures in parentheses apply to an UDMA mode 7, CF card based on Canon&apos;s testing standards. * IPB (Light) is for MP4 only. Movie without information display can also be output. * Changing the time zone creates another file. 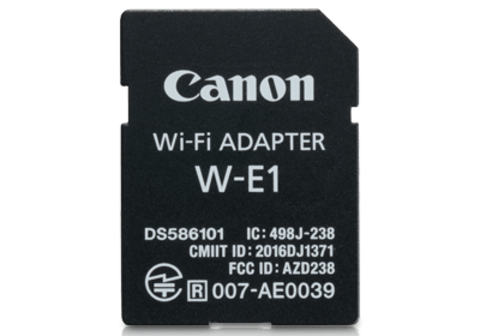 * The log data saved in internal memory as a log file can be transferred to a card or downloaded to a computer. * With Battery Grip BG-E16 attached, size-AA/LR6 batteries can be used. Approx. 148.6 x 112.4 x 78.2mm / 5.85 x 4.43 x 3.08in. Approx. 81.6 x 87.5mm / 3.2 x 3.4in.